A set of medical equipment obtained by the Westfield Clinic through a Japanese government grant are already making an impact, the staff at the Clinic said on Tuesday. 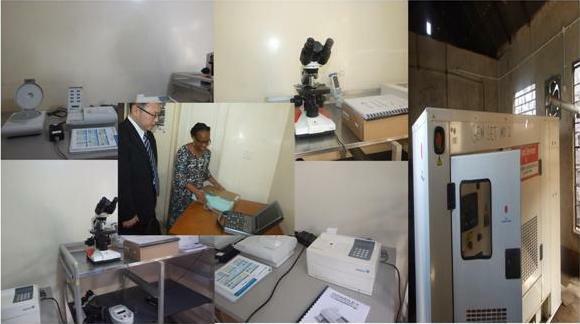 The Clinic also acquired “a robust portable” ultrasound scanner that can be used at the bedside and a new 100kva standby generator from a 73, 314 Euros (about 3, 500, 000 Dalasi) – under the Grant Assistance for Grassroots Human Security Projects funded by the Government of Japan. He said: “We have seen the difference the equipment is making to our practice. This grant will forever remain a milestone in the history of the clinic and reinforces the impact of what can be achieved by working together. “An 8-year old child was brought to the Clinic in a coma, and after conducting some tests… we were able to quickly diagnose that she had diabetes ketoacidosis, a serious complication of diabetes mellitus. Mr. Hideya Sato, first secretary Embassy of Japan in Senegal, who presided over the inauguration ceremony, said the grant project is part of Japan’s new strategy on global health diplomacy, which represents its development cooperation initiative in the health sector. He said this [Westfield Clinic] cooperation enables the clinic to provide a range of tests for diagnostic and monitoring of non-communicable diseases for over 300, 000 people in the Kanifing Municipality. In 2015, Japan launched the project of “Support to National Ebola Prevention and Preparedness in The Gambia” which is planned and implemented by the UNDP through the Japanese financial contribution amounting 1, 600, 000 US Dollars. In addition to this, Mr. Sato said the Japanese Embassy offered 78, 000 dollars to the Ministry of Health and [Social] Welfare for installing the 3 thermography equipments at the Banjul International Airport. Speaking earlier, Dr. Ayo Palmer, medical director Westfield Clinic, said the specific objective of the grant is to strengthen diagnostic services to improve curative and preventive healthcare. “The anlysers run several tests together on a single strip without using liquid reagents. This means that results can be quickly obtained,” Dr. Palmer said. On Wednesday, Mr. Sato presided over celebrations of the completion of “The Rehabilitation and Construction of ABC Learning Centre” implemented by A Better Chance Learning Center. 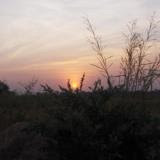 The organisation received 74, 571 Euros (about 3, 570, 000 Dalasi). According to a press statement, this cooperation will enable the school to provide a safe learning environment for its students, and to receive over 50 additional students. Mr. Sato said the two implemented projects in health and education will contribute to the enhancement of the Gambian peoples’ welfare and to the achievement of further development of the country. The Asian country’s Grant Assistance for Grassroots Human Security Projects supports local non-profit organisations to implement small-scale projects that directly benefit local communities and contribute to the socio-economic development of The Gambia.